Happy Hump day! I am so happy half the week is gone because I have been painting like crazy all week and I am determined to finish before the weekend approaches… I need a vacation! 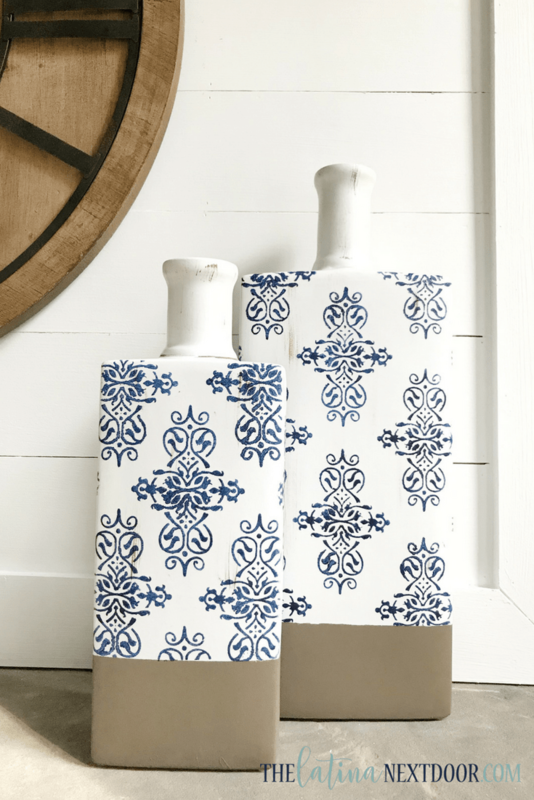 So, if you recall I started my monthly Look for Less Challenge in July where I created a dupe for a Pottery Barn mirror. 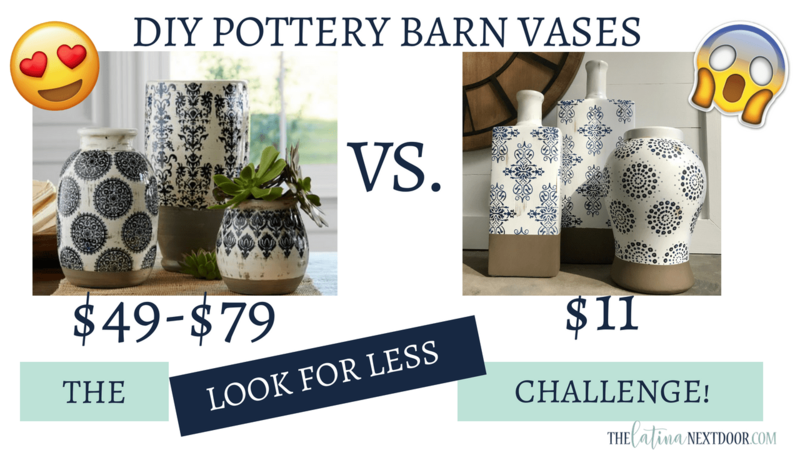 And it was finally time to do the challenge for this month, but unfortunately because of the water leak that I mentioned in my last post, I was not able to do what I had originally intended… so I opted for another Pottery Barn dupe! And while it was not planned, I totally love how they turned out. 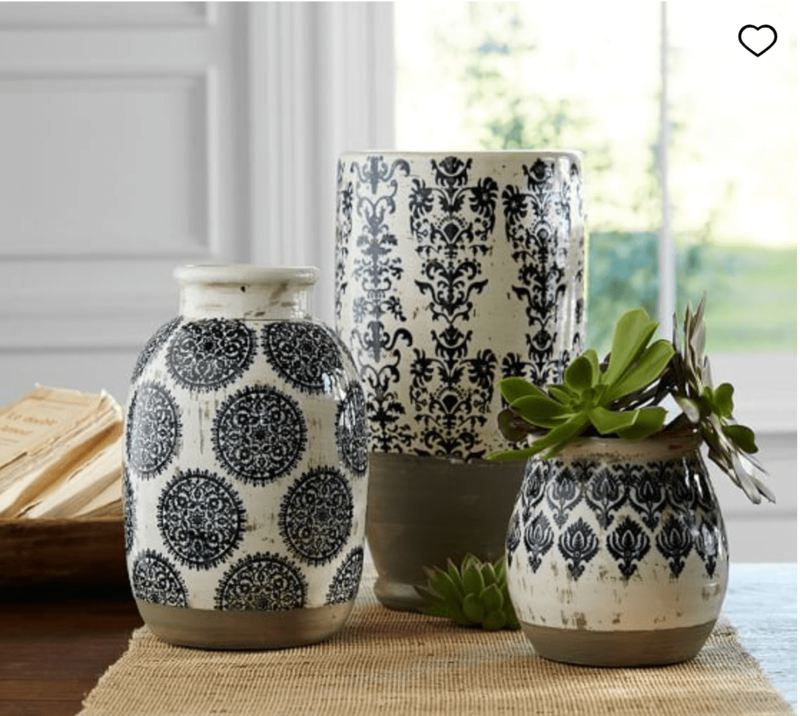 Well the vases were, but the price not so much… the smallest was $49 and the tallest was $79!!!!! What in the world!? 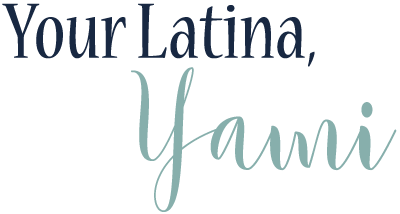 Ick, I know! These were so outdated, but they had a great shape… reason why I just could never let them go. So, I took them and gave them several coats of white spray paint. 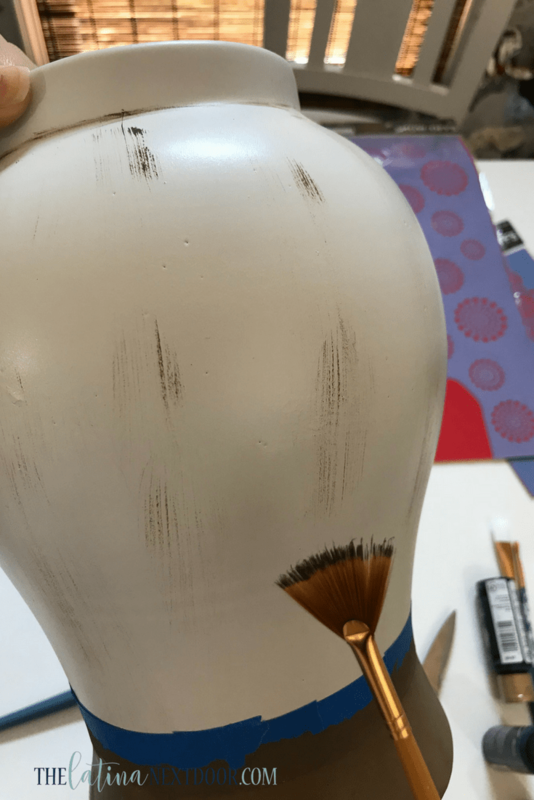 I added painter’s tape and painted the bottom portion with Martha Stewart’s Vintage Decor Paint in Tilled Soil. I gave it at least 2 coats. I even took a fan artist brush and add little strokes throughout to resemble clay poking through the paint. 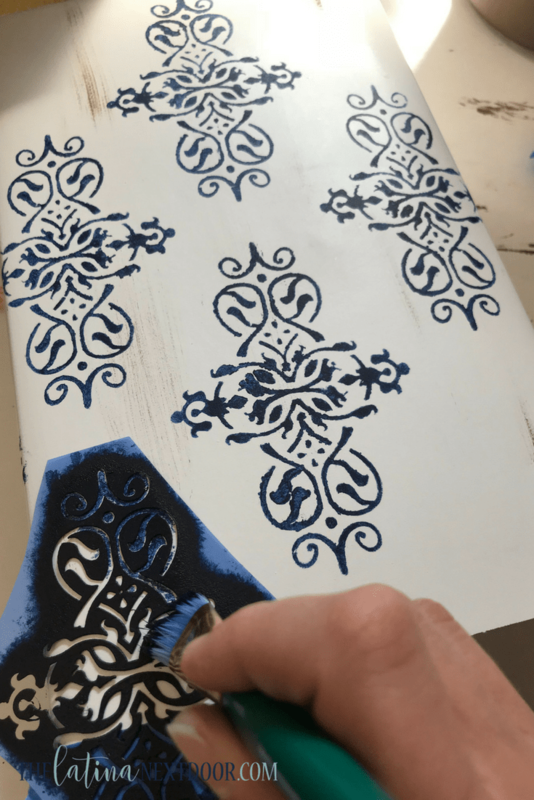 Then afterwards, I used Americana Acrylic Paint (from Hobby Lobby) by DecoArt in the color Prussian Blue along with 2 stencils I also purchased there with my 40% coupons., to add a pattern throughout. 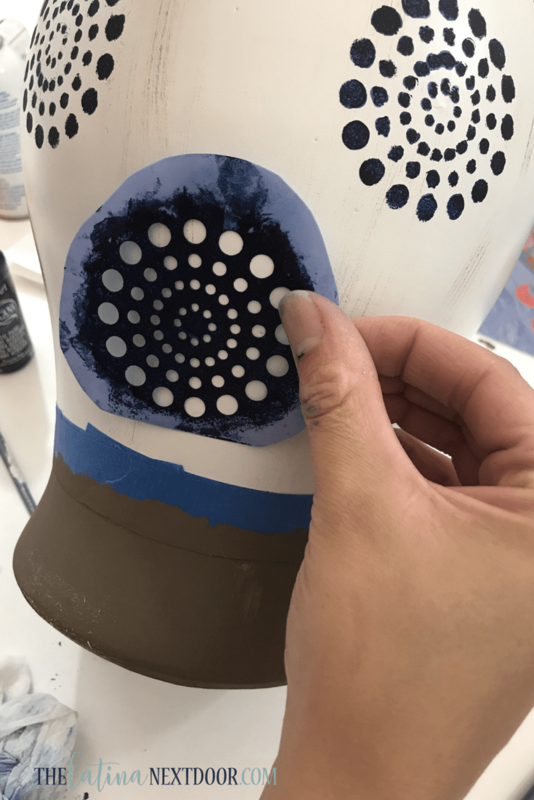 I did a round stencil for the round vase and as you can see they didn’t turn out perfect because of the shape of the vase. I tried spray adhesive, but the stencil still wouldn’t stick very well. I didn’t mind the messy look though, since I was trying to make these look kinda antique and old. 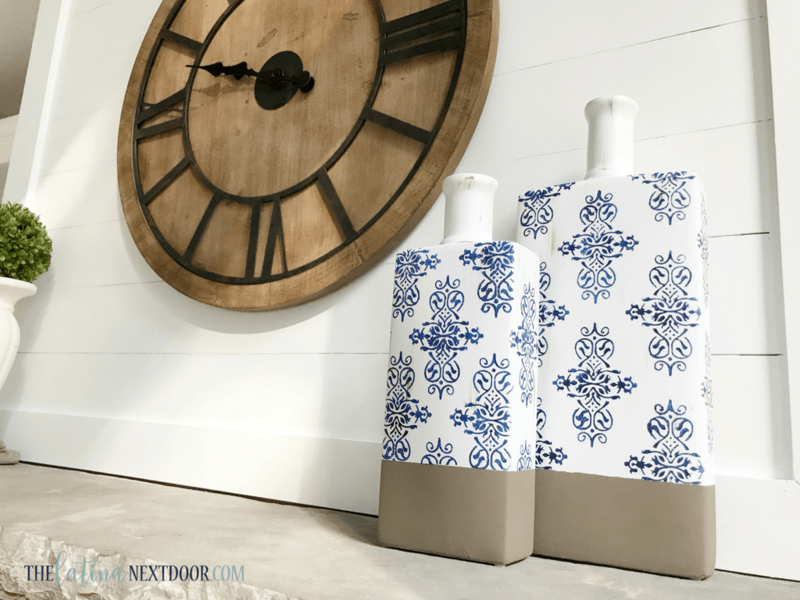 I used the other stencil pattern on both the other vases since they were a set. I purchased these. 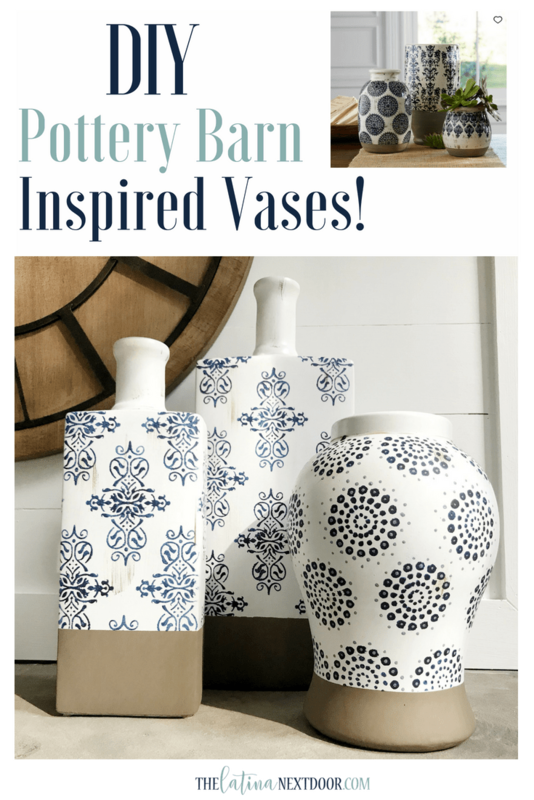 I basically eye-balled the pattern… and worked my way around the vase. 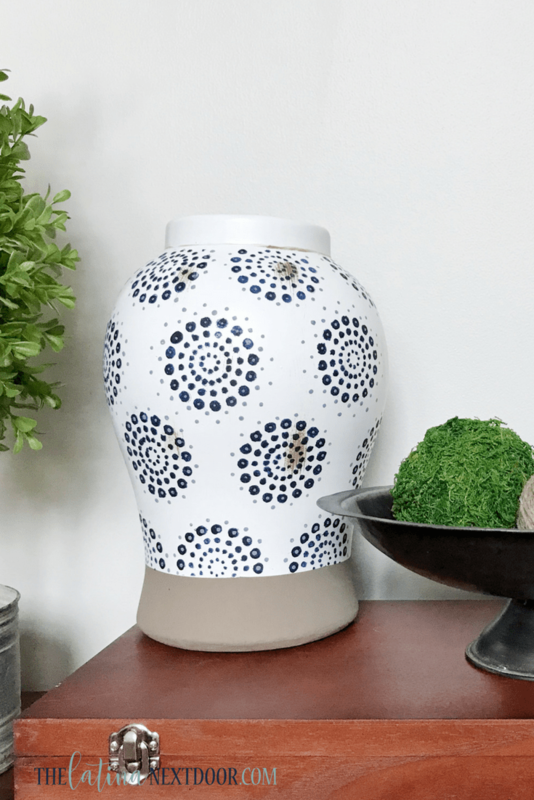 The square vases were perfect as is, but the round vase looked little empty so I took a light blue acrylic paint and used craft match sticks to add more freehand dots on and around the original stencil and I love the final look! 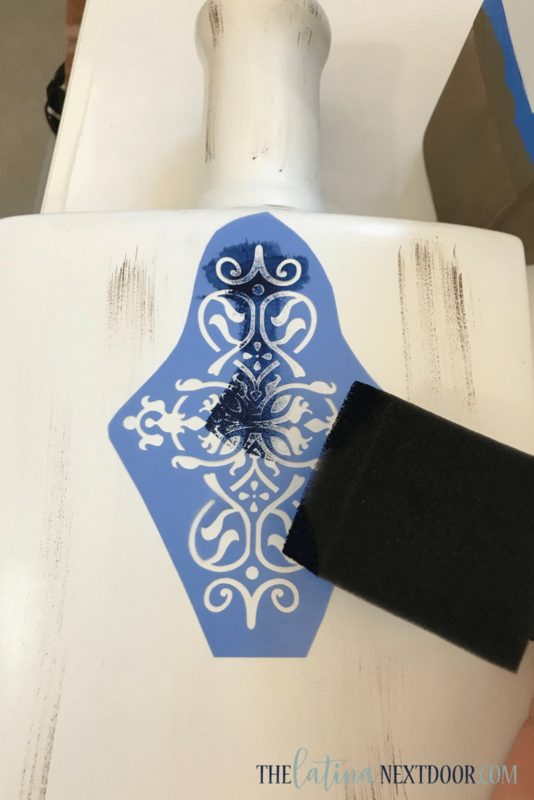 Since I already had the paint and the 2 square vases, I only needed the stencils. 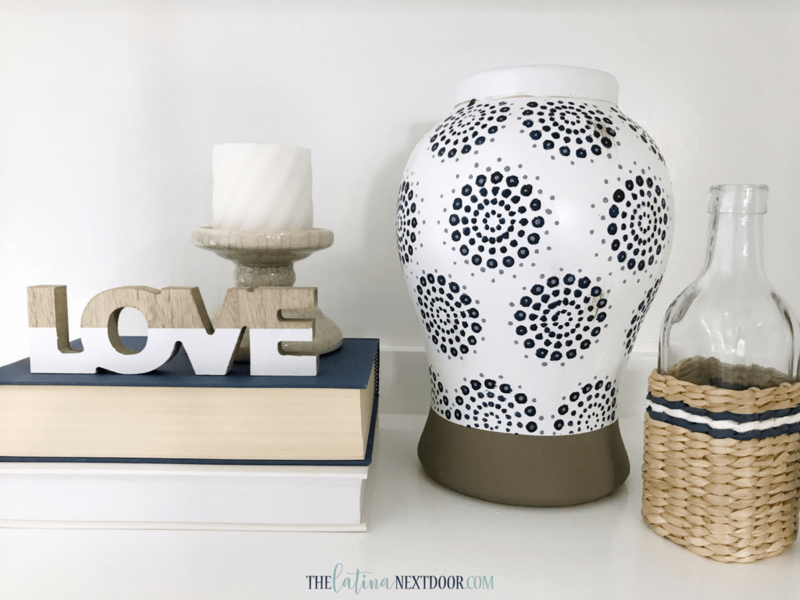 The round vase only cost me $5.95 so I was all in for 3 vases at $11! Tell me, which style is your favorite? I think I did pretty good! 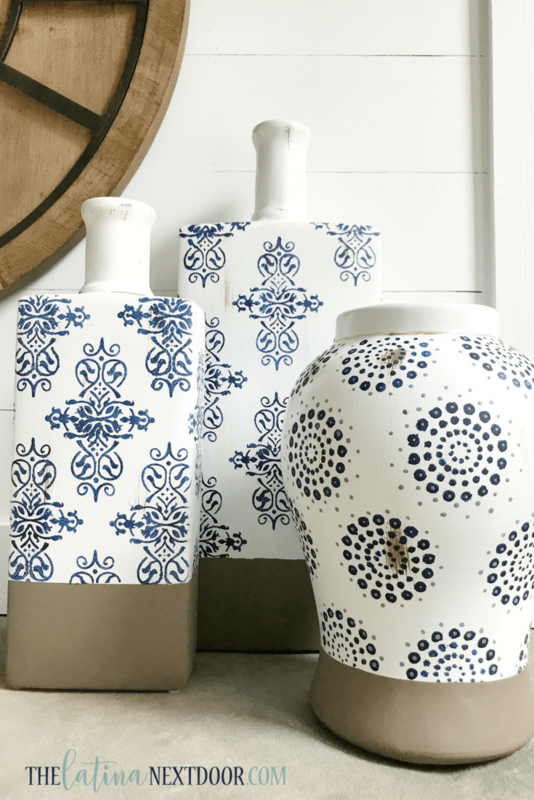 Do you have any vases that need a makeover at home? Be back here very soon!